Education has very important role in maintaining the existence and development of a dynamic society. Cultural values ​​with all their diversity are preserved, diverted, and transformed through education. Its same in Islamic education, which has means of transforming, transferring, and preserving the values ​​and purposes of Islamic doctrine from generation to generation to create a religious society that upholds culture and Islamic values. Islamic education is a medium of civilization for humans, especially Muslims. As a medium, Islamic education is used to direct the growth and development of physical and spiritual life, both individually and collectively, towards a top goal, that is the acquisition of world-hereafter happiness. In this context, educators play a central role in utilizing education as a medium of civilizing society. Consequently, educators in implement their duties are required by various requirements both theoretically and practically, because of the importance of their roles and responsibilities in the success of education process. 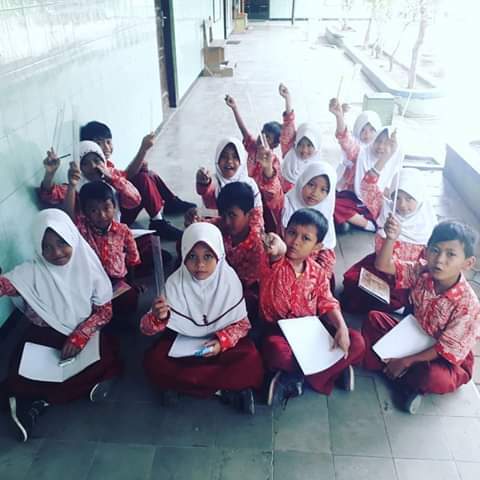 Meanwhile, the target of educational process include internal factors such as talents, interests, motivations and the like, and external factors such as the environment (family, school, community) with all dimensions and scope. Educators need to have a comprehensive framework of thinking and acting in implement the process of Islamic education. The thinking framework in which contains theories and concepts of education that are based on Islam and practical operational steps in the field. So from that then came the theorisation of Islamic education, which contains the compilation of knowledge about Islamic education in theoretical and practical as a step in achieving the success of the process of Islamic education. The result of the theorizing of Islamic education is "Science of Islamic Education" which is a new family of science that stands alone and different from the science of education in general. Humans as subjects and objects of Islamic education, are organism whose grow and develop with unknown results. Education as a tool and process to shape and directing human growth and development in a short time period with non-instant results. That's where the importance of the science of Islamic education as a science needed to form a perfect human based on Islamic values ​​while preventing the occurrence of failures in the educational process both in terms of mindset and practical steps. Islamic education is not only concerned with the internalization of Islamic values, but also the development of science. An educator, in the process of educating him should not be arbitrary, trial and error. Educators must based on theories and concepts that can be scientifically accountable. Theorisation of Islamic education which later gave birth to the science of Islamic education which was systematically arranged was a direction for the process of Islamic education. Every Muslim must understand the purpose for which Islam was revealed to the earth. An understanding of this will be realized through the education process. Knowledge about education is needed so that the process of internalizing the values ​​and attitudes of Islam to humans runs effectively. With the strong embedded of Islamic values , then humans can plant the seeds of goodness and benefit in this world. This also underlines that the scope of the science of Islamic education is very broad, covering all areas of human life in the world. In conclusion, the theorisation of Islamic education is the process of designing a building science of education based on Islamic doctrine which contains concepts, foundations, principles, methods, and all aspects of education both theoretically and practically, where later this theorisation process produces scientific buildings in the form of "Science of Islamic Education or Islamic Education Science".